If you are looking for the best home exercise bike for cardiovascular workouts without breaking your bank, try a stationary bike. Unlike a treadmill or rower, a home exercise bike is cost-effective and requires less space for placing. An indoor cycling bike is also helpful for professional cyclists during the coldest seasons. Read this article to know about the best indoor exercise bikes. We are going to discuss the basic ideas about a stationary exercise bike, followed by a buying guide. Later, we have presented short-reviews on the best indoor bikes in 2019. In this section, we have reviewed the top 10 best indoor bikes available in 2019. We have considered diverse issues including, the features, capacity, durability, customer reviews, ratings, brand reputation, price range, etc. to choose the best exercise bikes for our adorable readers. Before reviewing this product let me say something about the legendary “Marcy Gymnasium Equipment Company”. It was founded in 1959 by Walter Marcyan, heavyweight lifting champion. Marcy is a globally reputed brand for its innovative, well-researched, time-tested, and professional grade products. The Marcy’s Exercise Bike ME-709 is bearing this rich legacy. The Marcy Recumbent Exercise Bike ME-709 is the best pick for those people who are looking for a compact stationary bike for enhancing their cardiovascular endurance and losing some weight. This Marcy Bike ME-709 comes with heavy-duty construction. It’s powder-coated steel tube features 14 gauge width. It’s step-through mechanism facilitates faster pedaling. Your body components, including back, knees, and feet can easily cooperate with this exercise bike with optimal mobility. Marcy Recumbent Exercise Bike with Resistance ME-709. The Marcy Exercise Bike ME-709 is equipped with a magnetic resistance facilitated design. It is mechanized with eight levels of resistance. Thanks to the manufacturer for adding tension knobs. This feature allows you riding this bike on different terrains. Furthermore, people of different age and body condition can customize this Marcy Exercise Bike ME-709 with Resistance according to their level of fitness. We give an extra point to the ME-709 stationary bike for it’s versatility. Don’t worry about the readings. You can see covered distanced, burner calories along with time and speed, on it’s LCD monitor with a clearly discernible control panel. This ME-709 Marcy Recumbent Stationary Bike offers you comfort while exercising. It’s backseat and saddle are padded with high-density comfy foam. Moreover, foam-wrapped contouring handles provide added support to the arms as well as back. What is more? It’s weighted pedals provide optimal support to the feet in keeping total control. Adding to these, the pedals are furnished with adjustable feet straps. Are you looking for an upright exercise bike but worried about where to place that big beast? The Exerpeutic Magnetic Upright Folding Bike is your best solution. This Exerpeutic Upright Bike can be folded into it’s half size. It comes with transportation wheel which makes it easier to relocate this stationary bike, while needed. The Exerpeutic Upright Folding Bike features a user-friendly design. It can accommodate up to 300 pounds of weight. You can easily adjust the seat according to your height. The adjustable range starts from 5 feet 3 inches and ends at 6 feet 1 inch. It’s big size saddle comforts people of any body size. What makes this upright exercise bike outstanding from the regular home exercise bikes, is it’s high torque three-piece cranking framework assuring smooth pedaling with constant motion. It’s flywheel is balanced for precision. Another interesting thing is you can do exercise while enjoying a piece of music or a TV-program, as it’s V-belt smoothes the workout minimizing noise. Not every person bears the same level of physical strength. This Exerpeutic Exercise Bike is equipped with magnetic tension controlling mechanism graded into eight levels. You can choose a tougher or easier workout and adjust the level of tension according to. This Exerpeutic Upright Stationary Bike is blessed with precise sensors that can read hand pulse and measure heart rate. Thanks to the manufacturer for offering this exclusive feature, which helps you to monitor your real-time health condition while pedaling. The Exerpeutic Magnetic Exercise Bike is provided with a high-efficient large LCD screen. It shows the matrices including speed, distance, burned calories, time, and heart rate. This bike is built by a reliable brand, Exerpeutic Therapeutic Fitness Company. This brand is reputed for producing standard types of equipment under price-range. Exerpeutic’s 900XL Folding Stationary Recumbent Bike comes with various user-friendly features with an affordable price-tag. This Exerpeutic recumbent bike provides a more comfortable riding experience comparing to the upright bikes. Thanks to the manufacturer for providing a macro size seat with back-rest padded with a soft cushion. People of any size can use this seat with great comfort. Adding to this, the seat can be adjusted to a height ranging from 5 feet 3 inches to 6 feet 6 inches. This modern exercise includes hand pulse screening sensors. This high-tech feature can efficiently monitor the user’s heart situation during the active workout period. It helps the user remaining under safe heart rate levels. Exerpeutic 900XL Extended Capacity Recumbent Bike. The Exerpeutic 900XL exercise bike features an exclusive ‘Step Thu’ design. It helps the user to ride on and get off from the bike in a convenient manner. It is quite helpful for senior citizens and people with special needs. Unlike the regular bikes, the Exerpeutic 900XL offers a higher weight capacity of 300 pounds at maximum. The Exerpeutic Recumbent Bike 900XL bears magnetic tension adjusting mechanism graded into eight levels. The user can control the level of tension considering his/her fitness and pick a suitable workout – easy to difficult. This 900XL exercise bike promises smooth riding actions without creating much noise. This recumbent bike is equipped with V-belt drive mechanism along with a flywheel featuring precision balance. The kit includes a folding water-resistant PVC mat that would assist in reducing the level of noise and protecting the floor-space from any kind of damage. During the workout, your necessary information – distance, heart rate, speed, burned calories, time, etc. – would be displayed on this bike’s wide LCD screen. What is more? You can easily carry this home exercise bike 900XL from one place to another using it’s built-in transportation wheels. Are you a busy person, who can hardly manage time for gym still wishes to lose some extra weight? Then go for the DeskCycle Under Desk Exercise Bike & Pedal Exercise. People with a maximum height of 5 feet 8 inches or shorter can comfortably use this DeskCycle Stationary Under Desk Bike. This exercise bike’s pedals are only 10-inch high. And, the pedal arms are only 3-1/2 inch long. You can easily keep it under a desk with a minimum height of 27 inches. However, if you are a tall guy, then choose the DeskCycle-2 that suits people 5 feet 10 inches of shorter. It can also be placed under a 27-inch high desk. DeskCycle Under Desk Exercise Bike and Pedal Exerciser. This smart DeskCycle under desk stationary bike allows you to do exercise while working at the office, classroom, or home. You can also do workouts while working at the kitchen, listening to music, enjoying TV or any other type of tasks that keep your legs unengaged. Even, kids aged five or more can use this equipment. This under desk bike would burn calories, shed extra pounds, make you more productive, energetic and stress-free. This DeskCycle Under Desk exerciser out wins it’s competitor pedal bikes with it’s more than a double range of resistance. It comes with eight levels of resistance that gives you the scope to try workout starting easier to the pro level. However, it is wise to set the level of resistance to three or less while you are working at the office keeping this equipment under your desk. You can pedal at a single rotation keeping the resistance at the lowest level setting. It won’t make you sweat. The DeskCycle Pedal Exerciser comes with an efficient flywheel supported by magnetic resistance. You would be happy to know that you can use this stationary bike at an office ambient without creating any disturbance for other people. Folding exercise bikes are no less than a blessing of modern science for those people who wanna lose some extra pounds but own a limited space for placing the equipment. The XTERRA Fitness Folding Exercise Bike FB150 is one of the top-rated folding stationary bikes under an affordable price range. The XTERRA Fitness FB150 Folding Stationary Bike comes with X-frame shaped design bearing dimensions of 16.75-inch by 18-inch. You can easily move this folding bike using it’s inbuilt wheels. It’s compact design allows you to store this equipment in a limited space when the workout is done. Thus you can use an indoor bike without blocking floor-space for the whole time. The FB150 XTERRA Fitness Folding Exercise Bike features manual resistance calibrated into 8 levels. You can pick a resistance-level according to you need dialing it’s macro-sized tension knob. XTERRA Fitness FB150 Folding Exercise Bike, Silver. This FB150 Fitness folding bike by XTERRA is provided with a precision flywheel weighing only 3.3 pounds. Moreover, this bike’s pedal system is equipped with a 3-piece crank mechanism which makes the operation smoother and quieter. This is maintenance-free bike saves your time. What makes this fitness bike FB150 more user-friendly is the adjustable saddle. It can be adjusted for people with a height of 5 feet 10 inches to 4 feet 10 inches. It is suitable for people weighing 225 pounds at maximum. Furthermore, it’s saddle features an oversized contoured cushion offering comfy, balance and durability. And, it’s multi-grip handlebars are padded for added comfort and stability. Adding to these, this XTERRA Fitness Exerciser FB150 is blessed with pulse scanning sensors mounted on the handlebars. 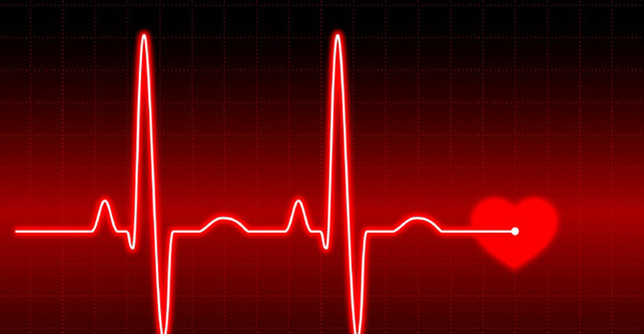 This mechanism can monitor your heart rate during the workout. What is more? Like the other standard fitness bikes, this XTERRA FB150 stationary folding bike bears a 2-inch by 1-inch LCD display where you can see your speed, burned calories, distance, heart rate and time. The Sunny Health & Fitness Company is a leading distributor of supplying standard quality fitness equipment. After reliable service for more than a decade, this brand is currently working with the top-rated manufacturing companies in China and Taiwan. This Company acquired huge popularity among health-conscious people for offering quality products with highly affordable price-tags. The SF-B1002 Indoor Cycling Bike is another addition to this assembly. This Pro Indoor Cycling Bike comes with a heavy-duty flywheel weighing about 49 pounds. This weighty flywheel assures convenient rides with desired speed and momentum. What is more? This home exerciser is equipped with a sturdy crank mechanism. It’s chain-drive system makes the ride more convenient. This pro stationary bike SF-B1002 can accommodate up to 275 pounds of weight. Sunny Health & Fitness SF-B1002 Belt Drive Indoor Cycling Bike, Grey. The most awesome feature of this home exercise bike is it allows you to set the level of resistance to your desired tension-level. Thus you can customize your workout to burn out your extra calories, build or tone up your body muscles. Moreover, the SF-B1002 Pro exercise bike is provided with fabric-built brake pad mechanism that makes the operation quieter and smoother. If you are on the search for an exercise bike featuring a customizable design, – towards back and forth, or up and down – go for the Sunny Health & Fitness stationary bike. It allows the other members of your family to use the exerciser after customizing the seat for their respective heights. And, the properly adjusted seat would save the user from falling down during the workout. This stationary bike SF-B1002 features ergonomically designed multi-grip handlebars. The padded design makes the handlebars non-slip and comfy during a long-hour bike ride. Furthermore, you can adjust the leather padded saddle according to your height. The handlebars are also adjustable to adjust the distance from your body. It makes your riding more comfortable, stable, and enjoyable. Here comes the Magnetic Mini Exercise Bike SF-B0418, another great indoor exercising equipment supplied by the aforementioned Company, Sunny Health & Fitness. Unlike the previous exerciser, the SF-B0418 is an under desk exercise bike offering smart features. The SF-B0418 Magnetic Mini Stationary Bike is a gift for those highly active persons – professionals, students or working moms – who are engaged with bulks of tasks all day long with a little or no time for exercise. This Sunny Health & Fitness SF-B0418 Magnetic Mini Exercise Bike features a compact design (22 by 18 by 14 inches) that saves the floor space of your office or home. You can easily place this exerciser under a work desk. This Mini Exerciser SF-B0418 is designed with a big dial tension knob graded into eight levels. It gives you the scope to set the resistance according to your skill. It can support your workouts ranging from easier to tougher levels. This Sunny Health & Fitness Mini Exercise Bike stands out from it’s competitors through the versatile applications. You can use this mini bike both for arm exercise and foot workouts. It can support the maximum weight of 220 pounds. If you wanna use it as an arm exercise, place this mini bike SF-B0418 over a desk or table. Thanks to the manufacturer for adding small grooves on the handlebar which makes the grip stronger. This Magnetic Mini Stationary Bike is provided with non-slippery pedals. These heavy-duty pedals are suitable for feet or hands of any size. You can get snug fitted pedals for your hands or feet using the plastic pedal-straps. You can see all the necessary information including time, speed, ODM, calories, and distance on this Mini Bike’s digital LCD readout. The Schwinn 270 is another Recumbent Bike, like ME-709. This pro recumbent bike offers a bunch of advanced level features that we could hardly find in any other exerciser, so far. This Schwinn recumbent bike 270 provides more comfort to the users comparing to an upright bike. This recumbent bike is a boon of science for the senior citizens who find the upright bikes uncomfortable. Thanks to the manufacturer for providing an adjustable seat along with contoured ventilated backrest supported by lumber. The easy-to-handle lever, Aluminum built slider seat railing mechanism, etc. assist the user in carrying the workouts in a comfortable and relaxed way. This recumbent bike is also very handy for people with special need. Unlike the regular stationary bikes offering a limited range of resistance grading, this Schwinn 270 Recumbent Stationary Bike is blessed with 25 grades of resistance. Undoubtedly, this bike gives the user a wider scope of choosing precise workout options under different levels of intensity. Weighted on the perimeter, it’s flywheel facilitates in smoother operation with an easy start. The modern technological features of this indoor bike, Schwinn 270 truly surprised us! This exercise bike can synchronize with several apps via Bluetooth. You can track your real-time fitness progress through the Schwinn Trainer App. Furthermore, RideSocial App gives you the opportunity to attain virtual rides with your real-time buddies. Moreover, this recumbent stationary bike comes with a user-friendly control panel along with a quick start-up function. It offers heart rate monitors, fitness tests and custom settings. What is more? Like the body monitoring scales, the Schwinn bike 270 can support multiple users. It can track up to 12 profiles. You would love it’s double-track LCD monitor with media shelf. It also includes a USB media charger, speakers with an MP3-port, along with an adjustable fan. The Schwinn 270 recumbent stationary bike turns the exercise into a fun task! After reviewing almost hundreds of home exercise bikes, we found this FitDesk Desk FDP2.0 Exercise Bike with Workstation and Massage Bar. Now you can continue both exercise and office works simultaneously with great comfort. This FDP2.0 bike is a boon of modern science, for the busy people working round the clock. This FitDesk FDP2.0 exercise bike comes with a compact design which consumes only 16 by 28-inch floor space in folding state. It’s sturdy steel frame is equipped with a quick lock mechanism. The in-built transport wheels assist in the easy relocation of this bike. The FitDesk Desk Exercise Bike is blessed with an adjustable backrest with a comfy seat that resembles beach cruisers. It’s handlebar includes a customizable armrest with padded massage rollers. It comforts the forearms of the user disregarding body-height. FitDesk Desk Exercise Bike and Office Workstation with Massage Bar. Moreover, you can set a customized fit, adjusting the backrest with 4-inch seat extender. It suits people with height ranging from 4 feet 10 inches to 6 feet 6 inches. You can utilize this FitDesk bike for upright mode or semi-recumbent mode. This bike includes a resistance band for cardio workouts engaging upper body. This bike bears 8-grade resistance levels. After choosing an easy or tough workout, you can select a resistance-level using the control knob. 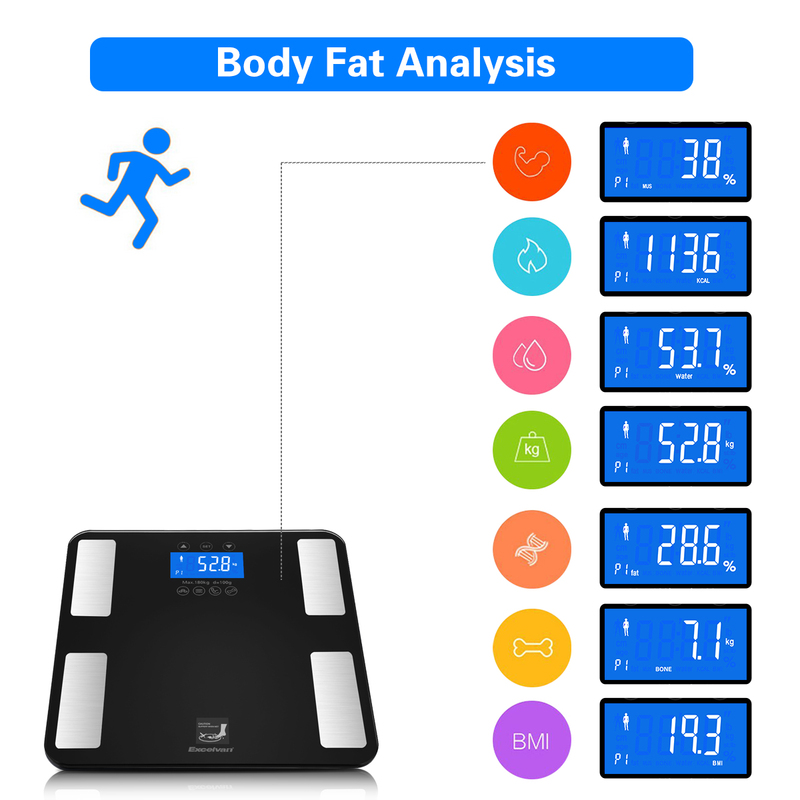 And, the information – distance, calories, time, etc. – are displayed on the easy readable digital performance meter. Though this FitDesk home exercise bike is lightweight equipment, it would remind you ‘riding a big bike’. Unlike the regular plastic bikes, FDP2.0 bears steel and aluminum built components. It’s precision bearing with balanced flywheel assure smooth riding. The most exciting feature of this FitDesk home bike is it’s customizable sliding desk – 16 by 19 inch. You can place a laptop, book or magazine on it’s slip-free surface. It includes a storage drawer where you can keep small gears, like phone, earbuds, mp3 player, pen, etc. What are the Benefits of Home Exercise Bike? A stationary bike is not mere exercising equipment. It does offer multi-dimensional benefits. Losing weight is not an easy task. It needs determination with continuous workouts. In this busy world, not everyone can manage time for the gym. So, a home exercise bike is the best solution for regular workouts. A stationary bike can assist you in shedding the extra weight from your body. All members of a household don’t bear the same level of fitness. The standard exercise bikes offer a range of resistance levels. It allows users to choose a simple workout or tougher ones. If you buy a home exercise bike, it is a one-time investment offering years of service. It saves your money for the gym. A stationary bike saves you precious time. Now you can continue both office work and exercise together. The under desk exercisers allow you keeping the equipment under your office desk and continue to the workouts quietly without sweating. Some modern indoor exercise bikes come with a workstation where you can place a laptop and work while exercising. Continuous workout for hours might sound boring. Thanks to modern technology. Now the home exercise bikes feature smoother and quieter riding experiences. So, you can listen to music or enjoy a TV program during the workouts. You can get better cardiovascular health, build muscles, lose weight, boost up your energy, and improve your current level of productivity through regular workouts. On the whole, regular workouts with a stationary bike keep you and your family healthy. And, a healthy body is key to maintain a happy life. What are the Types of Indoor Bikes? Before you buy a stationary exercise bike, it is recommended to know which type of bike best suits your level of fitness, desired comfort, preferred workout pattern, and other precise needs. An upright bike resembles the design of the commuter bikes. A user is required to get on/off the bike and sit on a saddle without backrest. It is best suited for people without any kind of back pain or mobility issues. An upright bike makes your body posture like sitting straight/upright. It might cause fatigue, muscle pain, etc. for long-hour workouts. Generally, an upright bike comes with a smaller size comparing to the recumbent bikes. The upright bikes are quiet for the novice riders. What makes a recumbent bike different from an upright bike is the concept of seating position and the design of saddle/seat. A recumbent bike allows the user to keep the body in a seating position with a reclined style. Unlike an upright bike that usually bears a light-padded saddle, a recumbent bike features a full-padded comfy seat along with a contoured backrest. A recumbent bike engages the lower part of your body – isolating from the upper part. In simple words, a recumbent bike is highly suitable for senior citizens, people with back pain, or people with special needs, etc. It is also handy for those who always desire a comfortable riding experience. The indoor cycling bikes are also known as spinning bikes. Indoor cycling bike has some similarity to the upright bikes, but it resembles the design of the real bikes that you ride on the roads. Unlike an upright or recumbent bike, a spinning bike allows you challenging moves, like bending the handlebar, standing while riding, etc. An indoor cycling bike doesn’t focus on comfortable workouts, rather it encourages aggressive workouts in different positions. The spinning bike models are available in health centers, gyms, etc. where professional athletes go for workouts. Besides the three main categories – upright bike, recumbent bike, and spinning bike – there are some smaller exercisers called under desk bike, mini bike or pedal exerciser. Unlike an upright or recumbent or spinning bike, a pedal exercise comes in a highly portable and smaller size. You can place a mini bike under your office desk and continue workouts and office works side by side without hampering each other. If you choose an easy workout, the under desk bikes won’t make you sweat. Moreover, smart paddle exercisers don’t create any noise which can bother your coworkers. Interestingly, some advance mini bikes allow both arm and feet workouts. How to Find the Best Indoor Exercise Bike for Money? We have listed out some essential factors that need to be considered before choosing a home exercise bike. A standard bike provides a proper combination of flywheel balance and weight, pedal fitting, resistance grading, comfy saddle, adjustable handlebar, etc. When each component works efficiently, you can enjoy a comfortable riding with proper speed and balance. A modern stationary bike allows the user to adjust the saddle, handlebar, pedal fit, etc. according to respective body-height. Only a correct fit can assure the user a safe riding experience. The heavier the wheel the smoother the ride. So, it is wise to check out the flywheel weight and balance on the perimeter when you buy an indoor bike. Generally, the reputed brands program a range of resistance levels in their home stationary bikes. This facility allows a user to pick a comfortable workout and choose the resistance-level according to. It makes the riding experience more comfortable. Each exercise bike features a definite capacity of bearing weight. So, while choosing an exercise bike to make sure your bike can fairly bear the body weight of you or your family members. The smart exercise bikes are provided with a hand pulse scanner that aims to monitor your heart rate during the workouts. It a bonus features that assist the user in continuing the workouts keeping the heart rate under the safe zone. Folding equipment are quite handy for portability, saving floor-space, easy storage, etc. Considering these facts, many modern stationary bikes offer a folding option. You can carry a folding bike in the office, gym or any other place without much effort. Fine workmanship and standard material make any equipment last longer. For instance, a steel frame bike with aluminum built components is sturdier than the regular bikes made with plastic materials. So, don’t forget to check out the manufacturing quality before you pick a home exercise bike. The exercise bike must have an easy-to-read built-in LCD screen where all the necessary information would be displayed. It is wise to choose a bike offering an easy-to-operate control panel. It would help senior members of your family in tracking their information independently. While buying any product, it behooves upon us to check the provided warranty period. So, while you buy a stationary bike don’t forget to check out the manufacturing details to know the warranty issues of the bike. Besides the above-mentioned features, some pro bikes offer a few exclusive options, like the USB port, water bottle holder, office workstation, etc. An efficient home exercise bike can help you maintain better cardiovascular health and keep the body in shape. The stationary bikes vary in types, sizes, features, and use. In this writing, we have reviewed the top-rated best exercise bikes available in 2019 – chosen by our editor. We have also discussed how to buy a home exercise bike under budget. We hope that now you can choose the best stationary bike that complies with your precise needs. 2 What are the Benefits of Home Exercise Bike? 3 What are the Types of Indoor Bikes? 4 How to Find the Best Indoor Exercise Bike for Money?